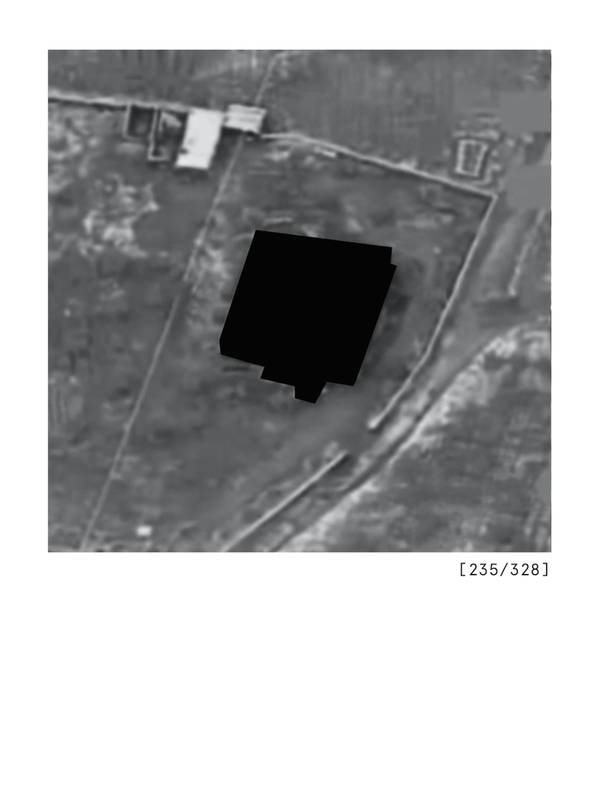 Redacted is an installation that consists of various pieces related to drones and warfare. These works address the ways in which the contemporary U.S. public is alienated from and engaged with U.S. interventions in South East Asia done in the name of national security and the promotion of democracy abroad. The works are appropriations and manipulations of mediated images of war. 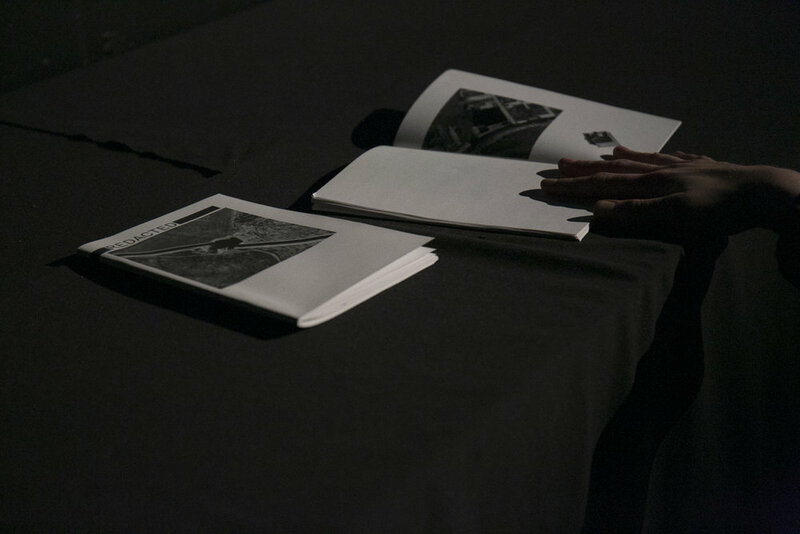 Using multiple media, including large plotter prints, zines, a video installation, and an internet ready made, the viewer places themselves in the position of spectator, supporter, and imperialist actor, implicating and exemplifying the position of the viewer as a citizen of imperialist states. dronereadymade_1 is a found video from Youtube where the user celebrates U.S. imperialism in a compilation of real drone footage, and mistakenly real, but fictional footage from Call of Duty. All other footage was take from the U.S. Central Command's youtube channel.